Rodrique Lauzon is the Westville Town Supervisor. In 2002 Rod was elected to the Westville Town Board as a Town Councilman. In 2004 Rod was elected as the Westville Town Supervisor. He has held the position of Town Supervisor for three consecutive terms. He was also a member of the Board of Assessment and Review. Rod was born on 11/19/1954 in Cornwall, Ontario, Canada to Rodrique and Joanne (Robinson) Lauzon. On December 27, 1992 he married Mary Emily (Larue); he has two sons, two daughter-in-laws and four grandchildren. Reynolds Metals (Alcoa) from 1976 through 2007 as Lead Shift Supervisor. All of these accomplishments could not have happened without the assistance of many wonderful volunteers!! 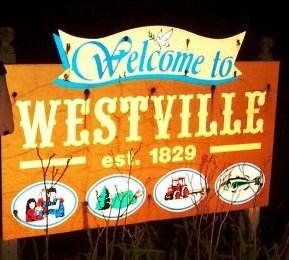 Westville is rich in community spirit and pride!